When one of the largest regional telecom providers in the U.S. experienced sagging direct mail response rates, they turned to IWCO Direct with a challenge to develop new creative formats which would compete in a head-to-head test against their incumbent direct mail provider. Challenge accepted! Our strategy team knew a fresh approach was required to achieve the desired response. 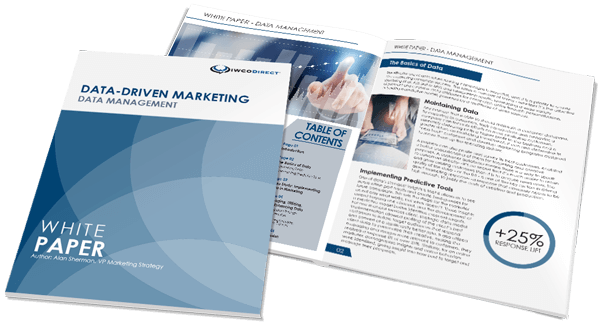 Their robust plan included hyper-segmentation and targeted 1to1 messaging for a wide variety of audience segments. Then our creative team, guided by our direct mail best practices, edited copy to resonate with specific segments of the target audience and added multiple proven formats to their control rotation. When it came time for production, our client required 50-90 complex, manual versions on a bi-weekly basis. To accommodate this, we introduced digital printing to speed up the production cycle and implement more targeted segmentation and exponentially more versions. In addition, our advanced postal strategies, including our industry-leading commingling process, provided significant postage savings. To date we have introduced more than 20 new formats, which have increased response rates by 17%. Our strategy and creative approach also reduced cost-per-call by 27% compared with the incumbent’s packages. Would you like to dial in more customers for your telecom business? Contact us.